This crisis is far from over. Journalists inside Myanmar are facing harassment, even death threats, for independent reporting on this situation. Two reporters for Reuters news agency were arrested for violating the country’s Official Secrets Act after investigating evidence of a mass grave. More sites of mass murder are being uncovered. A startling feature of this tragedy has been the inflammatory speeches by Buddhist monks in the country. As in so many other conflicts those inciting violence are a small minority – but a vociferous minority, with widespread impact. The most prominent, the monk Ashin Wirathu, was imprisoned for inciting racial hatred in 2003, then released under a general amnesty in 2012. 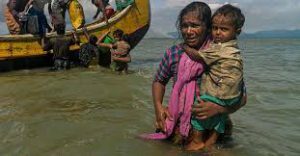 That same year communal riots between Buddhists and Muslims erupted in the state of Rakhine, where the current crisis is unfolding. The country’s top monastic council, to which the Buddhist humanitarian appeal is addressed, last year banned Wirathu from giving sermons for a year, saying he would face “action under the rule of law” for any breach of the order. It also ordered his nationalist organization (Ma Ba Tha) to cease its activities. His followers, however, simply re-branded themselves and are continuing to use social media to spread their extreme nationalistic message. Courageous monastics within the country are working to restrain the tide of hatred. They are cooperating with other faith leaders, intervening to stop outbreaks of violence, opening their temples to people of all communities fleeing attack, and running educational programs on tolerance and non-violence. Some are speaking out. “If you want to protect Buddhism, you must abide by the rules of conduct set by the Lord Buddha,” said a widely respected monk, Ashin Issariya, who recently attempted to hold a news conference critical of those fanning the flames of hatred. The event was disrupted by dozens of “patriotic” monks. He received death threats and was told his monastery would be destroyed. This catastrophe has not come out of nowhere. The Rohingya people, who include not only Muslims, but also Hindus and Christians, have lived in Myanmar for generations. They were stripped of their citizenship in 1982 by the country’s fierce military government. They have faced apartheid-style repression, and have been denied equal access to health-care, education, employment, religious freedom, travel and family rights. What many predicted came to pass. A resistance group calling itself the Rohingya “Salvation Army” emerged. Last August they attacked 30 government security and military posts. In response the government said it needed to “wipe out the threat of terrorism.” The government security forces announced “cleansing operations.” However, on this trip I learned from a credible source that Myanmar was already massing its military attack forces three weeks before either the guerrilla attacks or the government’s terrorism announcement. Within two weeks, the government said that nearly 40 per cent of Rohingya villages had been targeted by the army. Satellite imagery now shows the full extent of the devastation. 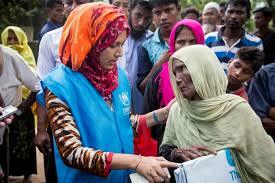 A staggering number of the Rohingya’s villages have been burnt to the ground and bulldozed over. Their existence is being obliterated. 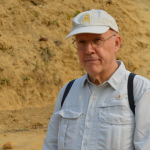 As an eye witness to what has happened, I am asking you to read the Buddhist humanitarian appeal, sign it, and give what you can to the humanitarian effort. If you wish, please share with any Buddhist friends and communities you may know. If we can turn this inspiration into a ground-swell among the Buddhist family worldwide, this will offer powerful support to those working for peace inside Myanmar. And our offering of generous help for the victims will put our vows, our compassion, and our vision into living practice. Click here to read part one of this article. 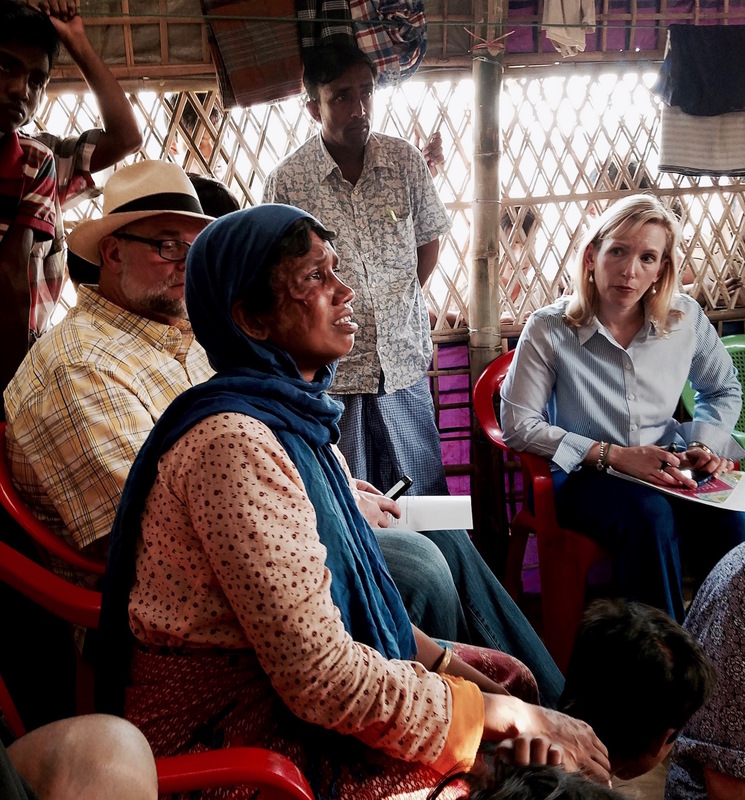 My daughter recently returned from a visit to some of the non-Rohingya parts of Myanmar. She told me that according to many Myanmarians she met, Myanmar has been and still is a strongly multicultural society with many different ethnic groups living together in relative harmony. 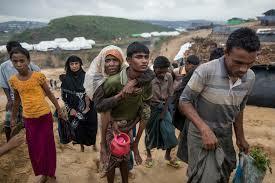 The exception has been the Rohingya people. This runs a little counter to our perception here in the US that there are just the Rohingya people and ‘Myanmarians’. The people my daughter spoke with insisted that it has been the Rohingya who have refused to integrate into Myanmar society. Of course, even if this is true there is no excuse for the violence. But I wonder if you have any further insight on this aspect of the situation.